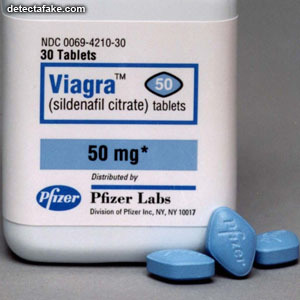 Sildenafil citrate, sold as Viagra, Revatio and under various other trade names, became available in 1998. Although Viagra has been used in many punchlines since then, it is a drug, and can be very dangerous if using counterfeit versions of it. 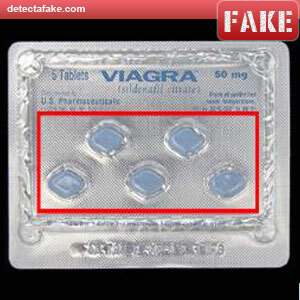 View the steps below to verify that you have the real product. 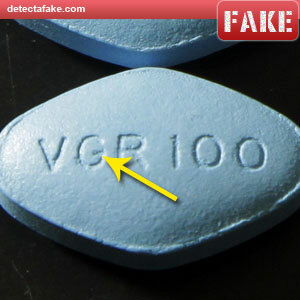 It has been estimated that up to 77% of Viagra bought online is fake. The temptation to buy these items online is great, due to the price savings, but it is not worth the risk. But if you insist on it, examine your product before use. Start by looking at the color consistency. 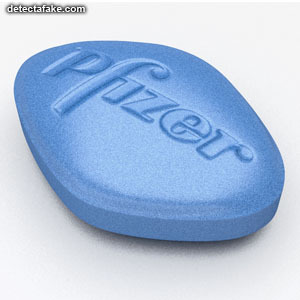 The pill should have no color variations and should be the same on both sides. 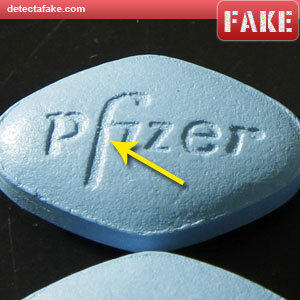 Next, look at the "f" in Pfizer. On the real one, the stem on the "f" doesn't start thinning out until nearly at the top. The fake starts thinning just above the bottom of the other letters. 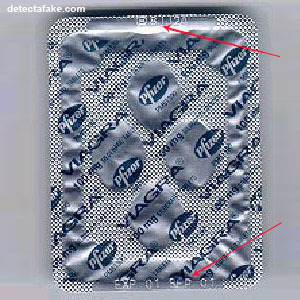 Next, look at the corners of the pill. The real one has a distinct edge but it is smooth and uniform. 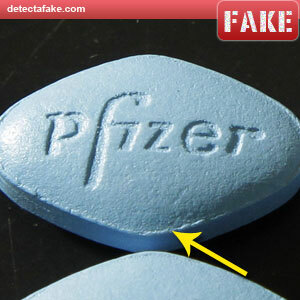 The fake has an indent before the edge and is very jagged. Next, look on the back side of the pill. 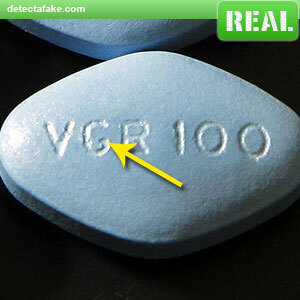 The inside leg of the "G" on the "VGR" should be very short. The fake one is longer. Also, look at both of the "G"s and you can see a shape difference. 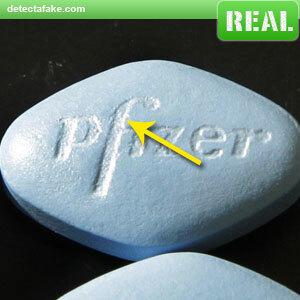 The fake is much more rounded. There should be only 4 pills per pack. 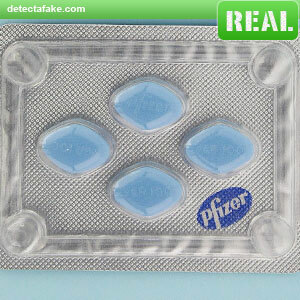 If the pills you have are anything other than 4, they are counterfeit. Make sure the expiration dates are clear and easy to read, with no printing over them. They should also be current, not expired.